Irrigation effects were investigated on an 8-year-old olive (Olea europaea L., cv. Cobrançosa) commercial orchard located in northeast Portugal. Trees were subjected to a rainfed control (T0) and three treatments (T1, T2, T3) that received a seasonal water amount equivalent to 30%, 60% and 100% of the estimated local evaporative demand by a drip irrigation system. Irrigation increases the photosynthetic activity of olive trees, in association with increases in water status, and reduces the midday and afternoon depression in gas exchange. The closely association between photosynthetic rate (A) and stomatal conductance (g s) revealed that the decline in net photosynthesis over the course of the day was largely a consequence of stomatal limitation. However, the ratio of intercellular to atmospheric CO2 concentration increased markedly from morning to midday in non-irrigated plants, in spite of lower g s, suggesting that non-stomatal limitations of photosynthesis also occur when environmental conditions become more stressful. 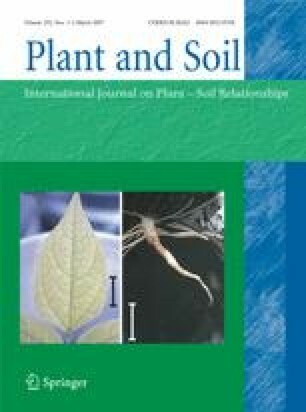 The occurrence of perturbations at chloroplastic level in rainfed plants was demonstrated by a lower maximum photochemical efficiency of photosystem II during the afternoon. Chlorophyll fluorescence measurements also revealed the occurrence of a dynamic photoinhibition in irrigated trees, mainly in T2 and T3, which seemed to be effective in protecting the photosynthetic apparatus from photodamage. Irrigation enhances antioxidant protection and decreases the oxidative damage at leaf level. Leaves grown under rainfed conditions revealed symptoms of oxidative stress, like the reduction (14%) in chlorophyll concentration and the increased levels (57%) of lipid peroxidation. We also found that the scavenging function of superoxide dismutase was impaired in rainfed plants. In contrast, the low thiobarbituric acid reactive substances concentration in T3 indicates that irrigation enhances the repairing mechanisms and decreases the oxidative damage by lipid peroxidation. Accordingly, leaves in T3 treatment had high levels of –SH compounds and the highest antioxidant potential. Meanwhile, the finding that guaiacol peroxidase activity increased in rainfed plants, associated with the appearance of oxidative damage, suggests that this enzyme has no major antioxidative function in olive. Financial support by AGRO-INIA program (No. 175) of Portuguese Ministry of Agriculture is gratefully acknowledged.